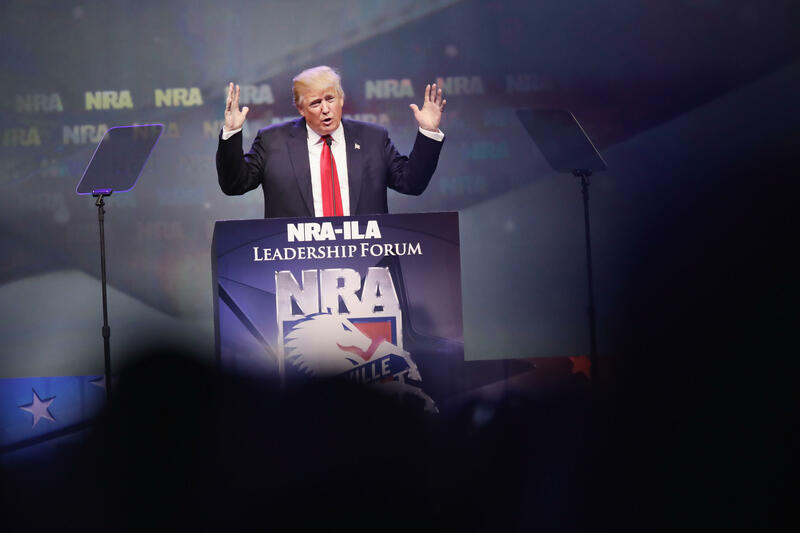 The National Rifle Association is upping its advertising game with just one month until the general election, boosting Donald Trump with its largest television ad buy to date. The TV campaign, which starts Wednesday and is expected to run until Oct. 24, features a woman named Kristi McMains, a 26-year-old who fought back an attacker in a parking garage with the pistol she carried in her purse. The NRA is spending $6.5 million to run the ad on broadcast networks in the battleground states of Ohio, Nevada, North Carolina, Pennsylvania, and Virginia, according to Jennifer Baker, spokeswoman for the gun rights organization’s political arm. Baker told CBS News that the approach to advertising this election cycle -- where the group has spent $17 million so far on pro-Trump television ads alone -- is an unusual one. Compared to the 2012 election (where the NRA clocked in about $12 million for its TV ad budget), the organization is more aggressively targeting undecided voters. “We’re really trying to fill that gap in our advertising,” she said. The latest ad with McMains -- a figure that cuts across two demographics Trump has had some trouble drawing to his side (young voters and female voters) -- is part of that expanded ad push. In the 30-second spot, McMains discusses why she believes Trump is the best choice for the Oval Office, pointing to her own experience owning a gun. She goes on to blast Hillary Clinton, who has advocated for “common sense gun laws” including expanded background check legislation. She said she “fought like hell for my life before reaching for my gun,” scratching and fighting her attacker before ultimately shooting him.